Malayalam is a language. Most people that speak Malayalam live in Kerala, in India. 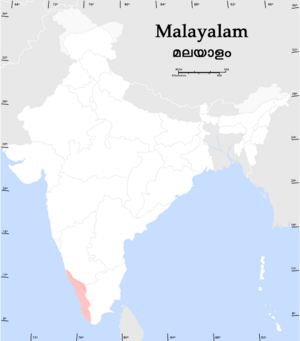 A speaker of Malayalam is called a Malayali. Sometimes the language, and its speaker, are called as Malabari. Malayalam Facts for Kids. Kiddle Encyclopedia.